Archi PLAY toys are consciously designed with focus on free unstructured play, as the most effective way of learning. Children have an opportunity to reach many different end results with archi PLAY, but more importantly, they experiment, try, fail, try again, look for other possibilities. During this process, children analize various situations and grow their ability of problem solving in the most natural way. How to build a leaning but stable tower? Recognize two shapes that make the bigger one. What kind of roof do we need in the mountain, and why? What about the plain? 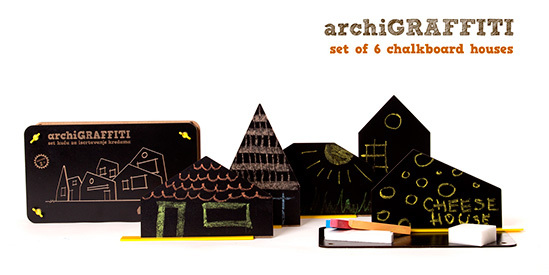 These are just a few challenges and questions introduced by archi VILLE set. Future brings us fast and unpredictable changes – most wanted jobs of today were not even on the horizon 15 years ago. Consequently, one of the most important skills for our kids to develop is creative thinking. Why? By learning to recognize problems and search for different possibilities, they become capable of dealing with new situations and unknown environments. 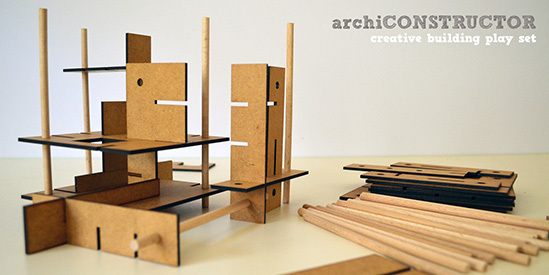 Archi PLAY open concept toys leave space for kids’ explorations and enables them exactly that way. What is the shape of a house? Another one? Some more? 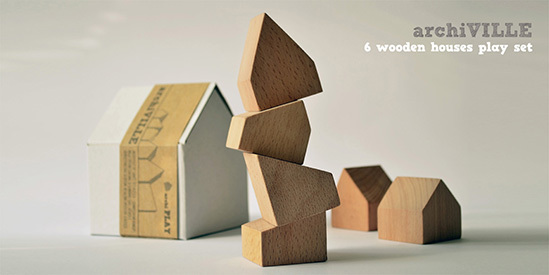 Basic creativity enables a child to think of new shapes based on the given ones. Our drawing development set invites kids to imagine a 1001 house! Intelligence is no more considered a constant IQ measure, but a synthesis of multiple skills and abilities. Playing with our architectural toys, kids grow their Visual-spatial and Logic-mathematical intelligences. Additionally, this kind of explorative process develops visual and tactile perception as well as abstract thinking – ability of recognizing specific things and concepts in non-asociative shapes and compositions. Children`s minds conquer the third dimension by building up with our constructor sets. While in the process, they think through the spatial relations, as well as possibilities and limitations of the elements. All archi PLAY toys extensively engage child`s hands. 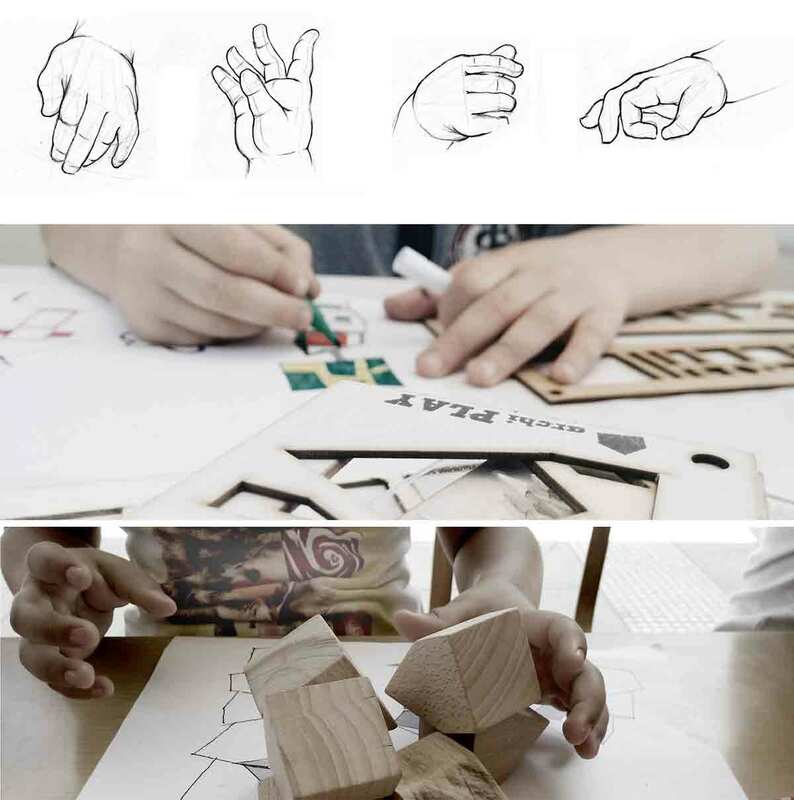 Both drawing and constructive play sets provoke an array of various hand moves – from the whole arm movement for putting elements together or dismantling the composition, to the precise grasp of sticks and targeting holes. Simultainously, constructive play induces eye-hand coordination – one of the most important development milestones. 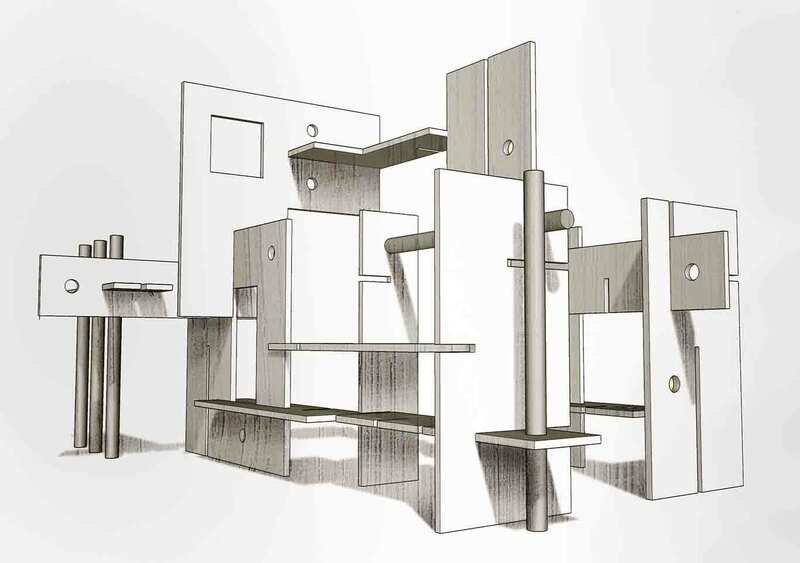 One of our products for the youngest (2+) – archi GRAFFITI engages little hands and minds for putting the houses onto their mounts, making spatial scenery of them and drawing on them over and over again.